Today, Days of Wonder has released their official digital version of Space Cowboys’s 2014 award-winning resource management board game Splendor. 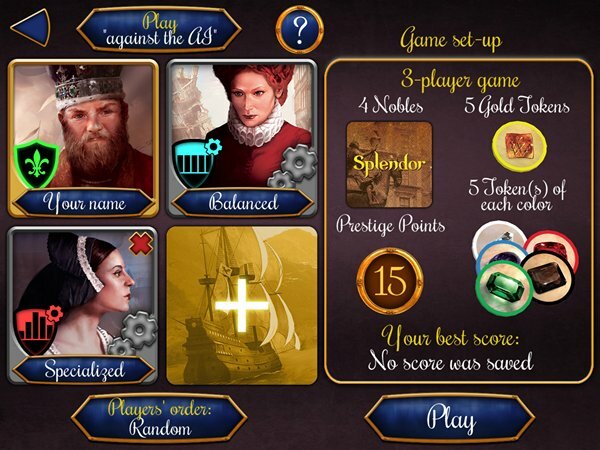 In Splendor, players take on the role of Renaissance-era gem merchants, collecting gems to purchase developments and hopefully curry favor with the Nobles to earn Prestige. The play area consists of three rows of four Development cards each. These range from the most common (and easiest to purchase) in the bottom row, to the more rare and expensive cards in the top row. In general the Development cards on the lowest level are not worth any Prestige points, just Bonus gems (more about points and bonus gems in a bit). There are 5 types of gems to collect: diamonds, sapphires, emeralds, rubies and onyx as well as gold (which is treated as a wild). The total available numbers of each of these gem tokens will vary by player count. Three to five Noble titles are added to the play area (based on player count) from a total pool of ten. The fact that you use a random subset of Nobles and the inherent randomness of which development cards will appear throughout the game, means there is some nice variability in setup each time you play. Players earn Prestige points either by purchasing Development cards or by earning the favor of the Nobles. These point values are indicated by large numbers on the Noble and Development cards. On your turn you can choose to do one of four actions. Take 3 gem tokens of differing types, Take 2 gem tokens of the same type (only if there are 4 or more of that type available), Reserve a visible or non-visible Development card for later purchasing only by you (you also get one gold token with this), or Purchase a Development card by paying the number/types of tokens indicated on the card. Note that if at the end of your turn you are holding more than 10 gen tokens, you are forced to return any overage back to the general supply. Each development card provides a Bonus in the form of an extra gem of a specified type which, once the card is purchased, provides the owner with a permanent resource of that type (which doesn’t count against his or her max 10 tokens) and helps to purchase the more expensive level 3 cards. Building up Bonus totals of certain types of gems also helps the player satisfy the conditions for the Noble cards, which are automatically awarded to the first player to match those bonus conditions. The final round of play is triggered once any player reaches 15 Prestige points and the ultimate goal is to be the player with the most Prestige points at the end of the game. Now that you know how the game is played, let’s specifically look at the app. 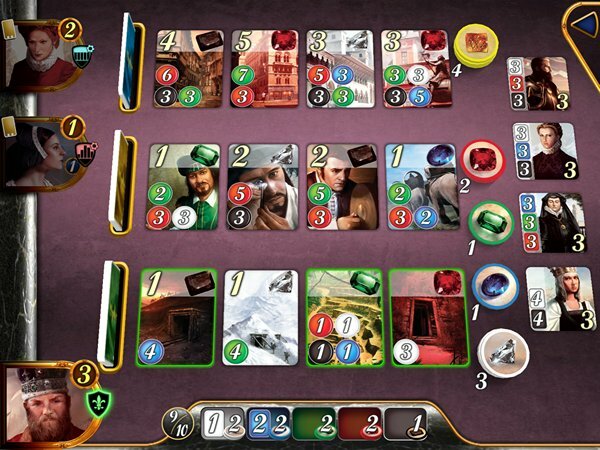 Splendor uses the same art assets from its physical counterpart and as we’ve come to expect from a Days of Wonder digital title, the app is nicely illustrated and intuitively designed with obvious thought given to both form and function. For new players, there is a detailed tutorial that’ll have them up and running in no time. The intuitive interface offers loads of customization options to change the horizontal positioning of components on the screen, as well as individually adjustable sizes of the tokens, cards and more. Something often overlooked in digital board games is the presence of an undo option. I’m happy to see that in Splendor, most moves have an undo option before you commit (though discarding of gems is oddly left out of this). You have the option to start a game with up to 4 players either in a pass and play multiplayer mode on a single device, or a single player can play with up to three AI opponents. There are five levels of AI to choose from for each opponent (Balanced, Specialized, Opportunistic, Random or Secret) and each AI player can have a different setting. In my experience there is definitely a noticeable difference between these and it adds some nice variety in play, especially given the current lack of online multiplayer (more about that in a sec). There are global leaderboards to compare your scores against friends as well as a bunch of achievements to unlock. There is also an exclusive Challenge mode, which changes up the standard gameplay modes and puts the player into specialized constructed situations, giving them a limited number of turns or tasking them with specific goals to achieve like “reaching a certain number of points, winning a special card, or collecting a combination of gems”. 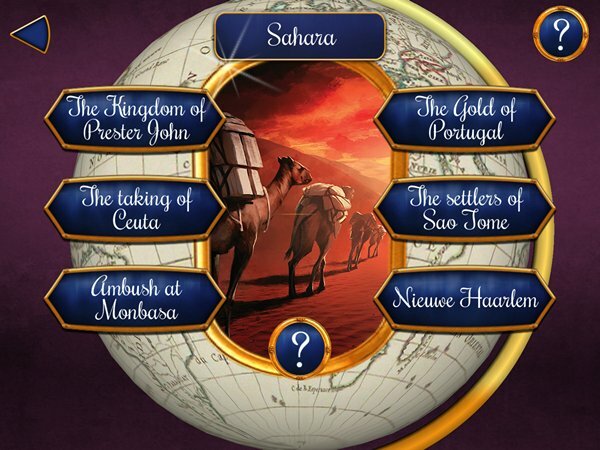 The 18 challenges are split into 3 packs of 6, each representing a geographical area such as Madrid, Istanbul or the Sahara and are “based on actual historical facts, which occurred during the 15th and 16th century”. I recommend new players get the tutorial and some solo matches under their belt first, before venturing here. Known for its rich online multiplayer experiences, the big elephant in the room with the Splendor app is its lacking of any sort of online multiplayer option, neither asynchronous (like we saw in Ticket to Ride Pocket and SmallWorld) nor real-time (like there is in Ticket to Ride and SmallWorld). I asked Days of Wonder about the reason for this curious omission and if any multiplayer mode was in the works for the Splendor app. They indicated that they are currently in the process of revamping the multiplayer experience across all of their apps and that once that is done, it will be added as a FREE update to the Splendor app as well. I’ve always thought DoW had one of the best online multiplayer implementations, so from the outside, the overhaul doesn’t seem necessary, but I’m sure they know what they are doing. Unfortunately there is no specific ETA on the online multiplayer, but hopefully it’ll be soon. I received the physical version of Splendor as a Christmas gift last year, however I still have not had a chance to actually get it to the table. After playing this fun digital release, I definitely want to. The thing I really enjoy about Splendor is that it affords players multiple viable strategies to victory, whether that be to buy and hoard cards they think their opponents want, or try to satisfy the noble’s requirements or just quietly build up their engine and buy high-value cards. I’m sure there is probably some optimal strategy, but I haven’t figured it out yet. 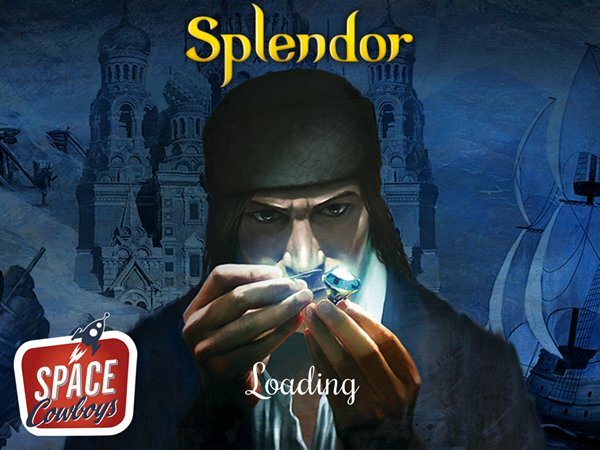 Splendor is a light to medium weight board game that is perfect for a wide range of ages and skill levels. Though the lack of an online multiplayer component is certainly a big bummer, the app’s excellent interface, variety in game setup and AI players, along with the ease of play still make this a recommended pickup with some nice replayability.